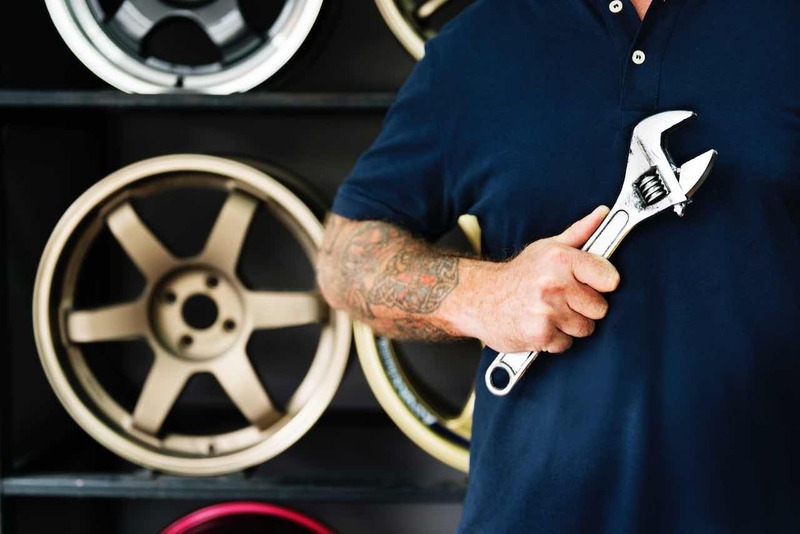 We offer specific WordPress Themes especially designed for use as TWU Portfolios. These come with extra capabilities to manage your portfolio artifacts. Students are welcome to try any other theme available on this site. See below for instructions specific to each of the TWU Portfolio themes. 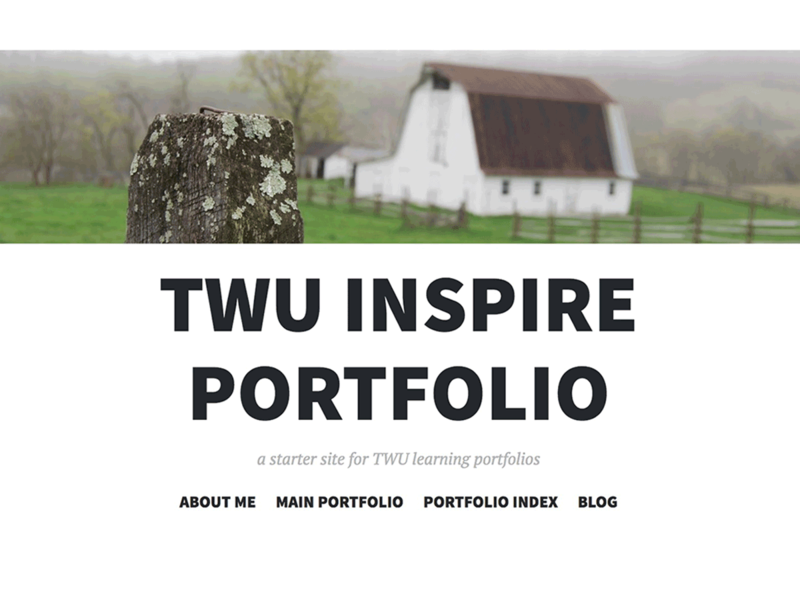 TWU Inspire is a minimalistic yet bold theme recommended for Trinity Western University student portfolios. 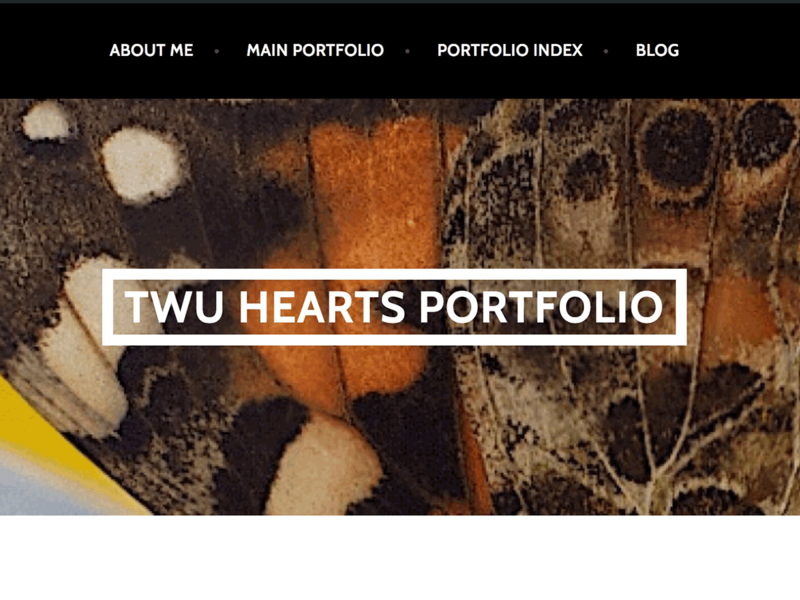 TWU Hearts is warming, visually driven theme recommended for Trinity Western University student portfolios. It's clean look is one you will like. 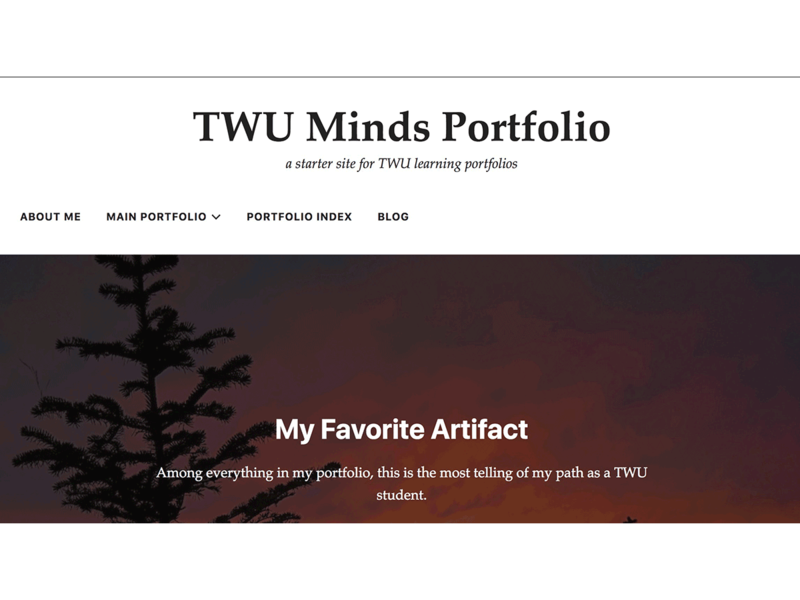 TWU Minds is an elegant text-oriented theme recommended for Trinity Western University student portfolios. It offers easy to change customizations to represent your artifacts in different ways. 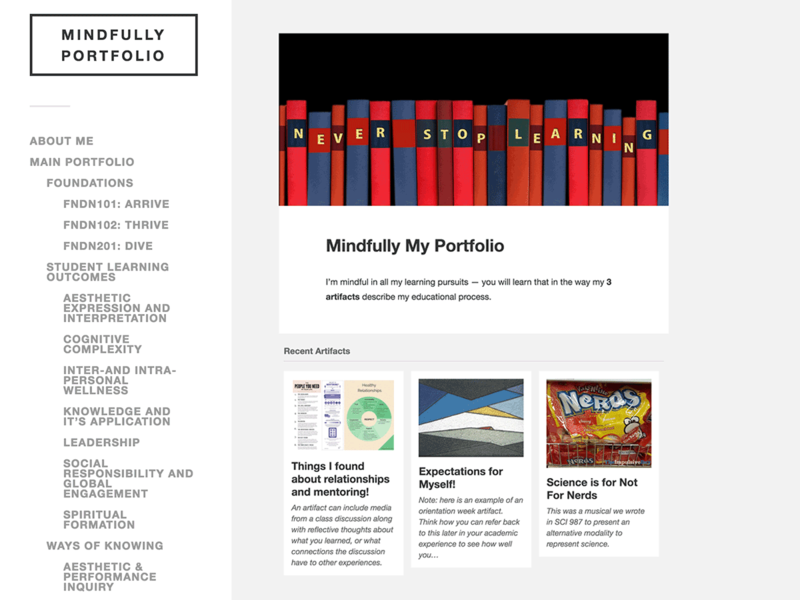 TWU Spartans is an visually strong theme recommended for Trinity Western University student portfolios. It works well for art portfolios or any other subject where images are used to represent each artifact.